I'm starting to think she needs a paid modeling gig! Look good, pals! Penny is a natural!! 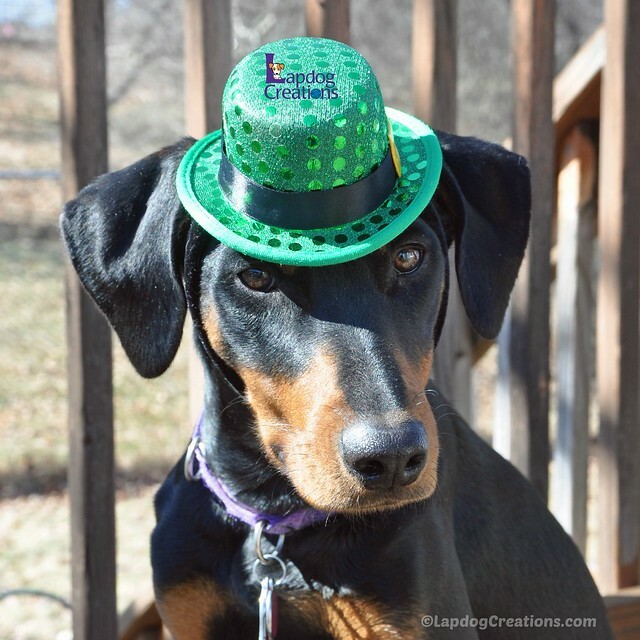 oh dems loverly hats for St. Pat's - do haz a wonderful day and stops by to read our furry Thankful Mewz Thursday today! Happy St. Patty's Day!! Penny has a hat kind of like Dante's!! Penny looks like a perfect model, beautiful shot. I agree about the modeling gig - A no brainer - adorable pics! So cute! 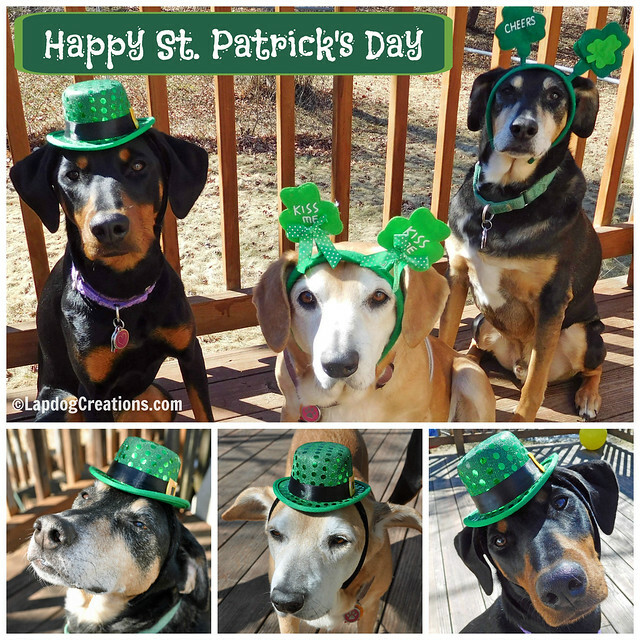 I'm going to have to get some green gear so I can dress my pups up next year. Oh my gosh! They are adorable! I wish my pups would let me dress them up. I love hats. I love dogs. Dogs in hats is perfection! How fun - adorable and cute in hats! I love Penny's little face and her cute poses! OMD so cute. Definitely need modelling careers. Truffle and Brulee would never let me put things on their head. Very cute photos. Well these cuties are natural born models. Love that they are embracing the festive holiday. I bet they had fun, too! Penny is adorable in her little hat! These are great photos! The photo collage is wonderful, love it. Hope you enjoyed your St. Paddy's Day!